Tommy earned his Bachelor’s Degree in Exercise and Health Science from Alma College in Michigan, where he played four years of Division III football. 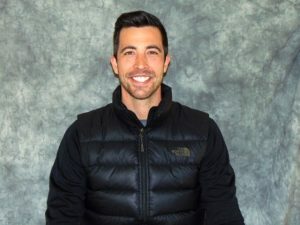 He taught physical education for elementary and middle school children, before earning his Doctorate in Physical Therapy from the University of Michigan-Flint in 2017. While Tommy enjoys working with patients of all ages, he is most passionate about working with young athletes and those recovering from CVA. In his free time, Tommy enjoys hiking, fishing, and camping with his wife, Lisl and their chocolate lab, Kona.